In the 1960’s, Air-Flo moved into the manufacturing of truck equipment with the introduction of ice control spreaders. By the 1980’s, Air-Flo added dump truck bodies and the now very popular Flo N’ Dump multi-purpose dump body to their growing line of truck equipment. 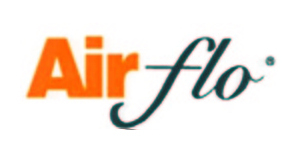 As the manufacturing business grew, Air-Flo began to grow out of their facility in Prattsburgh, NY. In 2000, Air-Flo expanded their manufacturing facilities by opening a new plant in Elmira, NY. The Elmira plant is dedicated to manufacturing Air-Flo’s highly popular Pro-Class® and Pro-Max® dump bodies as well as our new product introduction for 2006, the Quick-Silver™ Snow Plow. Air-Flo’s growth and success is attributed to the company’s manufacturing core objectives that the original founding brothers developed. The focus on innovative design, quality construction, and competitive pricing has served the company well in the past, and continues as a guide today. The company is still family owned and operated by the second generation of Musso brothers. As Air-Flo looks toward the future, viagra precio, with an eye to its core manufacturing values, the outlook is very promising as the company continues to develop and build products for the truck equipment industry.